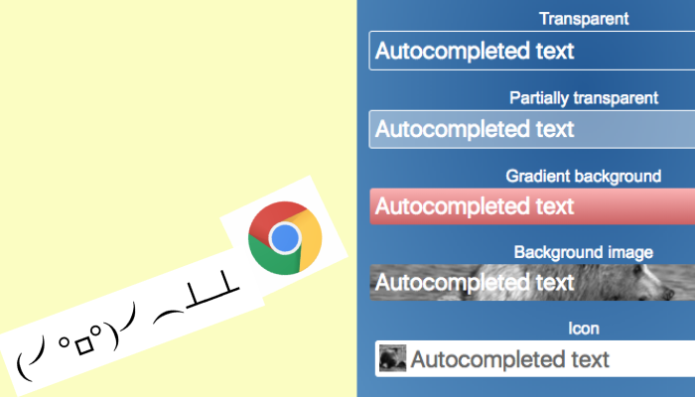 Annoyed by that pale yellow background-color (and black text) that Google Chrome will force on any input field that it autocompletes? Well, we have the CSS-hacks for overcoming all the different design-scenarios you might have, be it controlling background colors, gradients, images, or even icons! If you allow your browser to remember what you write into forms it will pre-fill these forms when visiting again. That's very convenient. But Chrome forces a pale yellow background on all these input elements, likely messing up your design. And that background color cannot be overridden ... or can it?